MY COMMENT: PEMANDU has done a lot to promote Najib’s Transformation agenda. But what has it really achieved apart from talk and spin by Minister Idris Jala? There is a huge gap between rhetoric and reality. ETP is all talk. If we judge Jala by results, PEMANDU is a failure. It should, therefore, be disbanded. In the past, we have relied on professionals in the Economic Planning Unit, Prime Minister’s Department, to do the job and they did a very credible job, judging from what was accomplished in terms of economic growth and development. What can PEMANDU and its external consultants do that the EPU cannot do better in terms of dealing with macro economic challenges we face today? EPU should be asked to get the job done. 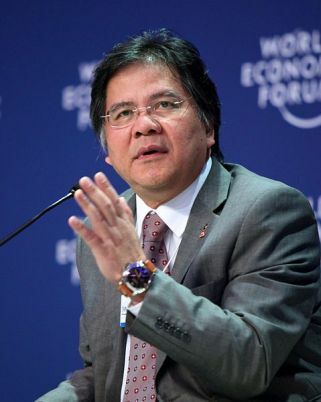 These include Datuk Seri Idris Jala of the Performance Management Delivery Unit, or PEMANDU, a government outfit whose collection of highly-paid consultants were unsuccessful in persuading Malaysians that the crime situation had improved and that jaw-dropping economic statistics were not pie-in-the-sky hyperbole. They and other critics in UMNO would not have been pleased with what happened two Wednesdays ago, on June 19, when the Prime Minister, his Cabinet colleagues and the Chief Secretary of the government sat through several hours of presentation by Idris and a collection of individuals being shaped up as the government’s new brains trust. The next day, the experts’ panel appeared before Deputy Ministers, Secretary-Generals from 21 ministries and other senior civil servants. They believe that throwing money at Malaysians is a discredited strategy, given that 51 per cent of the electorate voted for Pakatan Rakyat. 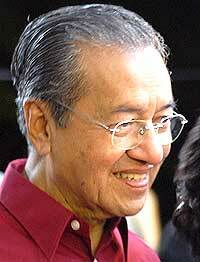 What they truly want is a return to the days of Dr Mahathir Mohamad, who basically charted the way forward for the country with his own brand of economics, often against conventional wisdom and most certainly without a battery of consultants. A recent online poll conducted by an UMNO blogger showed that more than half of the respondents wanted Dr Mahathir to govern the country, with Najib nowhere close. 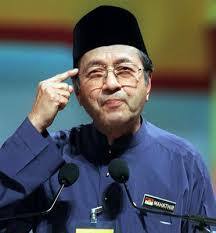 Expect the Maharistas to sabre-rattle and pressure Najib with the UMNO elections due in October. So much ‘pressure’ is being put by the federal government on the opposition Pakatan Rakyat pact to accept the outcome of the May 5, 2013 general election if the latter is serious about ‘national reconciliation’. Prime Minister Najib Tun Razak has even gone on to say that Pakatan’s acceptance of the 13th general election result is the ‘main premise’ for reconciliation. Posted in Economics, Economy, Finance, Governance, Leadership. Senior UMNO politicians are in for a windfall, possibly as early as next week, when Prime Minister Najib Razak rewards their loyalty with appointments as chairman and board members of Government-linked companies (GLCs) and government agencies. Among the plum positions available are senior positions on the board of Tenaga Nasional, Telekom, MARA, Perbadanan Usahawan Nasional Berhad, Tabung Haji, Perbadanan Nasional Berhad, government officials told The Malaysian Insider. A list of vacancies currently available and positions soon to be available in GLCs and government agencies is being prepared for the PM. Those in the running for chairman positions are former Federal Territories Minister Raja Nong Chik, former Deputy Finance Minister Awang Adek as well as veterans Datuk Nur Jazlan Mohamed, Tan Sri Rais Yatim, and Datuk Azeez Rahim (right). The politicians to be rewarded are a mixed bag. Some, like Raja Nong Chik were defeated in the general election but are still viewed by Najib as allies and likely candidates for the next general election. 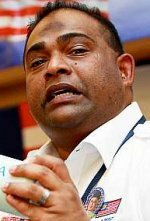 Others, like Azeez of the Putera UMNO wing were elected as Members of Parliament but could not be appointed to the Cabinet. And then there were a few who did not create a fuss when asked to make way for new talent and not contest the elections. In the past, Prime Ministers were wary of putting too many politicians on the board of GLCs, upset that their inclusion could result in a clash of cultures and priorities with the professional management and ultimately lead to poor performance of those companies. But Najib is having to embrace a new approach for two reasons – the long line of UMNO politicians outside his office since the May 5 general election and his own party elections later this year. In at least two occasions recently, the PM used his discretionary powers to recommend a chairman for two GLCs, overriding the list of choices offered by the incumbent GLC executives. Among the restless are some 60 UMNO division chiefs who were not fielded as election candidates on May 5 as well as giantkillers who defeated opposition bigwigs but were not rewarded with Cabinet positions and finally, those who agreed to give way to new candidates for their parliamentary seats. Several UMNO politicians have already been given senior positions in GLCs and government agencies including Datuk Ghani Othman (left), who was defeated by the Democratic Action Party’s Lim Kit Siang in Gelang Patah. 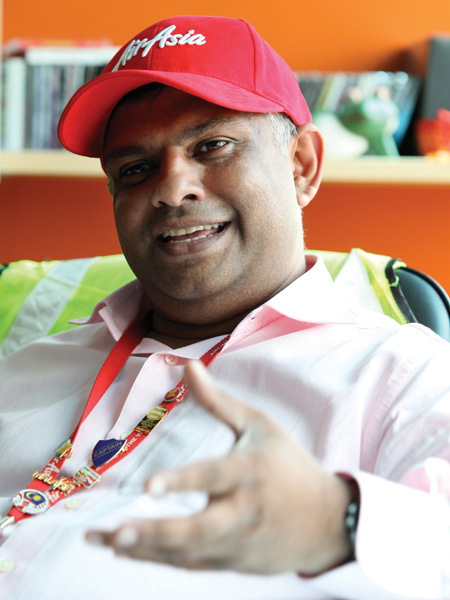 He was made the chairman recently of the one of the largest listed plantations in the world, Sime Darby. 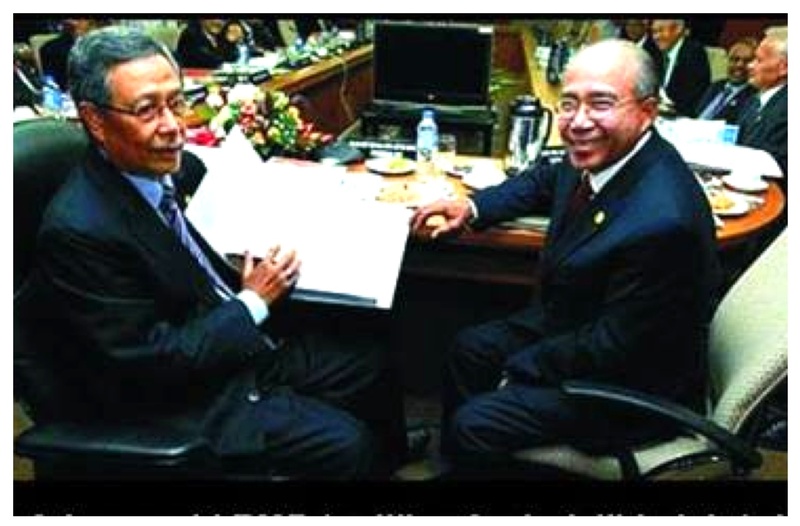 Tan Sri Nor Mohamed Yakcop was made Deputy Chairman of Khazanah Nasional, the government’s strategic investment fund. Posted in business, civil society issues, Governance, Politics. Malaysia’s May 5 elections resulted in the ruling coalition returning to power despite losing the popular vote. 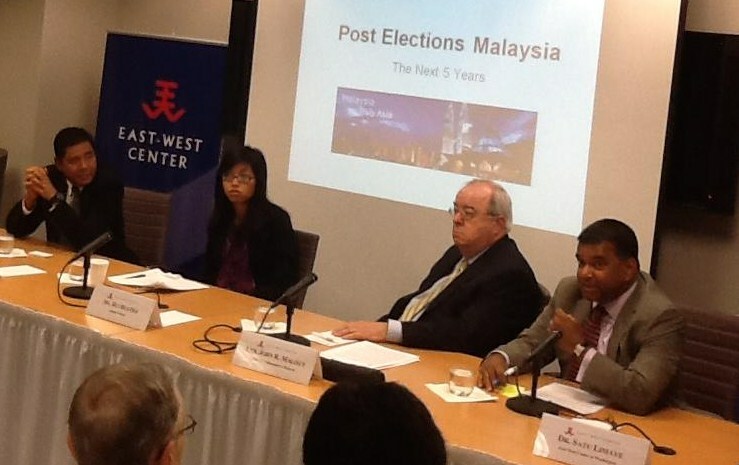 Following this historic event, the East-West Center in Washington hosted a panel discussion featuring two Malaysian perspectives on what is happening in Malaysia, politically and economically, following the vote, as well as an American perspective on what the elections mean for US-Malaysia relations. Ms. Hui Hui Ooi commented on the political landscape in Malaysia following the election. In examining the future of the opposition coalition party Pakatan Rakyat, she described the vote as fairly successful. While they did not win the most parliamentary seats, they did capture the popular vote. To prepare a different outcome in the next elections she suggests that the PK acknowledge its aging leadership and begin nurturing its future leaders, increase outreach to rural, youth, and minority voters, and prepare to govern should they win. In the case of the ruling Barisan Nasional collation, she feels they need to reconsider their Malay-only approach and rhetoric, start thinking of all ethnicities as Malaysians, to revive popular support. From the perspective of the US, former Ambassador John Malott explained that the elections were “win-win” for the US, with the leaders of both parties being US-educated and pro-American. The primary consequence for US foreign policy is that the vote proved that there is a viable opposition in Malaysia, and that the US should engage the broad political spectrum as it strengthens and expands its bilateral relations. We warned that because few in Washington follow events in Malaysia on a daily basis, it is easy to make the mistake of taking official talking points on the country’s progress at face value. He cautions not to “conflate intention with action” and to be realistic about the political and economic realities in the still developing democracy. He also called on the US to encourage Malaysia to reach for higher standards in democracy, governance, and human rights as part of its bilateral relationship. To view more photos from this event, please visit our Flickr Page. 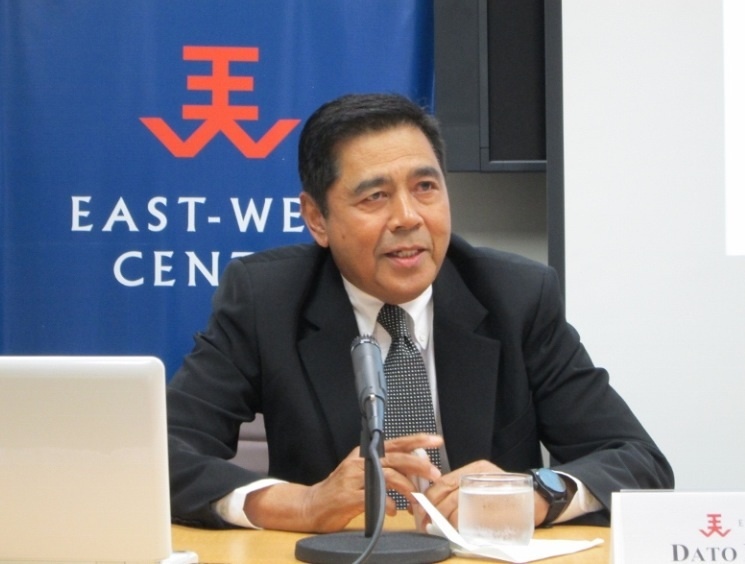 Dato Din Merican presides over one of the most respected blogs in Malaysia, where the alternative media are playing an increasingly important political role. 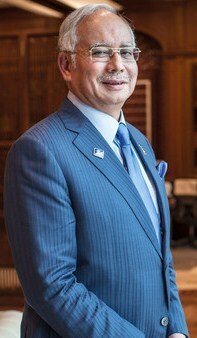 Dato Din served in the Malaysian government as a foreign service officer and central banker and then moved on to industry and commerce with the Sime Darby Group, one of Malaysia’s major business conglomerates. He was graduated from the University of Malaya in economics and did postgraduate studies at the School of Business at George Washington University and INSEAD (France). Hui Hui Ooi is Assistant Director at the Brent Scowcroft Center on International Security of the Atlantic Council. Originally from Malaysia, she majored in economics and international studies at Miami University of Ohio and holds an MA in international relations from the Maxwell School at Syracuse University. She is a new and young voice in the international think tank arena and recently authored two articles on Malaysia’s elections for the Scowcroft Center. 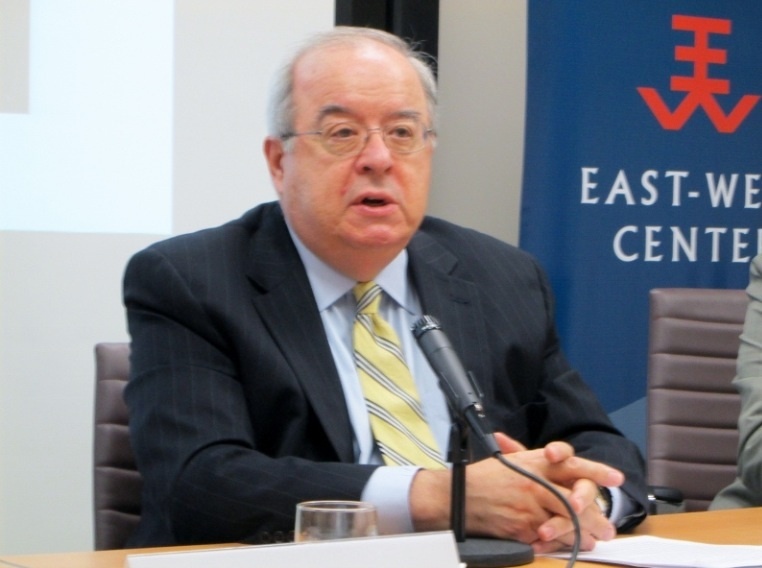 John R. Malott served as the United States Ambassador to Malaysia from 1996 to 1998, during the Asian Financial Crisis and arrest of former Deputy Prime Minister Anwar Ibrahim. 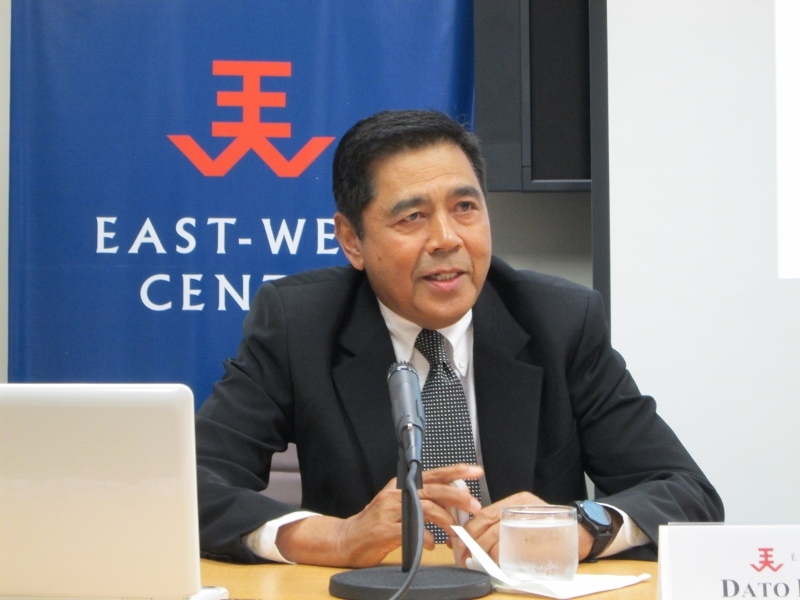 During his 31-year career in the US Department of State, he held such positions as Deputy Assistant Secretary of State for South Asian Affairs and Consul General in Osaka, Japan. He has provided political commentary on Malaysia to such publications as the Wall Street Journal, Malaysiakini, and the Islamic Monthly. Posted in civil society issues, Democracy, Elections, GE13, Governance, International Affairs, Politics. 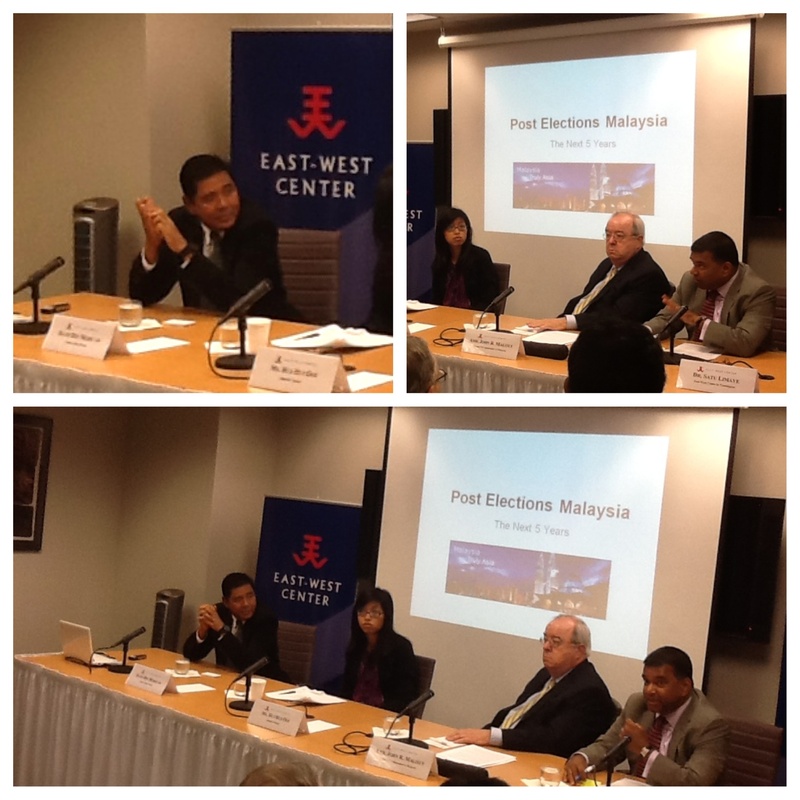 MY COMMENT: At the East-West Center seminar yesterday, I said to my audience that I remain bullish about Malaysia. This is because we want change and better governance and that change will be driven by the generation of young, well educated and tech savvy Malaysians.I, however, did not mention that leading the quest for change are young Malays from middle class families like Adam Ali and Safwan Anang. This was pointed out to me by Ambassador John Malott who was also a discussant at the East-West Center seminar. Adam Adli (above) could have been in a comfortable teaching position somewhere in Malaysia, earning a decent salary, driving a Myvi and planning for a family. An everyday man charting an anonymous middle-class life, the Malaysian dream for many. Instead, Adam Adli Abdul Halim has been arrested more times than even Opposition leader Datuk Seri Anwar Ibrahim. He has been assaulted and threatened with multiple legal action, including sedition. And he is not cowed. And what about Safwan Anang, once prisoner No 3130 2770? He could be planning for a future in the civil service, employment that would give him job security, a comfortable life for his wife and baby on the way. A young Malay man making his way up the ladder. Instead, Safwan Anang has also been arrested a couple of times, thrown into Sungai Buloh prison with murderers and rapists after he refused to pay a RM5,000 bail. And he too, is not cowed by the authorities. Both these 24-year-olds belong to a group of young Malay political activists who have emerged in the last few years. They have taken a confrontational approach against the government, pushing for more democratic space and freedom for students. They do not believe in submitting written requests or making representations to their elected representatives. They protest. They speak without fear at forums and also take part in sit-ins as they did, pitching tents at Padang Merbok in the heart of Kuala Lumpur on June 22 after the Black 505 gathering. When they were eventually evicted from those tents, they made their way to Parliament House where Adam, Safnan and others were arrested… again. Some of the activists are affiliated to Pakatan Rakyat or close to Opposition-friendly groups like Solidariti Mahasiswa Malaysia, Solidariti Anak-Anak Muda Malaysia and Gerakan Penuntut Akademi Bebas. Others are drawn by issues and the fact that their parents too are activists. What is perhaps surprising is that many are the products of the New Economic Policy, the affirmative action programme designed to give Malays and other bumiputeras a leg up through quotas, scholarships and other special privileges. So why are these Malays rising up against a system which in theory is stacked in their favour? One reason, say pundits and political commentators, is that many Malays do not believe the NEP benefits the larger Malay population. They believe it is, instead, a vehicle abused by the elite and the politically connected to get rich. With the gap between the have and have nots growing wider in Malaysia every year, this feeling of anger and disenchantment against the establishment has also grown. Analyst Ibrahim Suffian of the Merdeka Center, the country’s premier polling and research outfit, also noted that many young Malay activists are products of political Islam and have family members who are active PAS or PKR members. They believe that it is their religious duty to fight oppression and injustice and have no fear of retribution from the state from doing so. 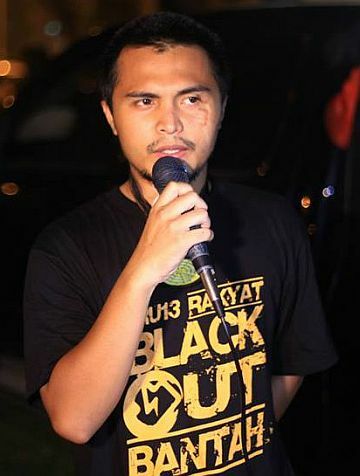 Adam, who has become a star among young Malaysian activists, says that he is fighting against irrelevant and outdated policies and laws, such as the legislation which restricts the involvement of students in politics.He started small, upset at the policies formulated by Universiti Pendidikan Sultan Idris (UPSI), where he was a trainee teacher. “I felt that the policies formulated by the university administration did not take into account the feelings and opinion of the students. 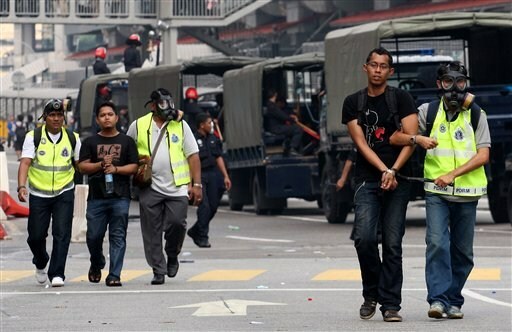 There was no independent student union to fight for the rights of the students,” Adam told The Malaysian Insider. He came to national prominence in December 2011 when he lowered a banner with the image of Prime Minister Datuk Seri Najib Razak during a demonstration at the UMNO headquarters at the Putra World Trade Center. He was called all sorts of names by the UMNO-owned media, threatened with punitive action and eventually suspended by the university for three semesters. But the fire burning in his belly was not put out.Since then, he and fellow activists have regularly gone to the streets to protest on a variety of issues, from the suspension of law professor Dr Abdul Aziz Bari from the Islamic University of Malaysia to the Bersih rallies for fair elections to the need for academic freedom. Now the rallying cry is the need to save democracy in the country and challenge the alleged electoral fraud that occured in the 13th general election. 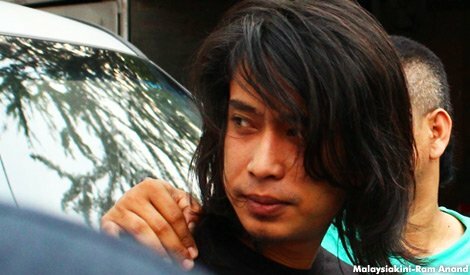 Every time he is arrested, Facebook pages are flooded with messages such as “We are all Adam Adli” and hashtags like #bebaskan Adam adli. Some writers have drawn some similarities between the likes of Adam, Safwan and other young Malay activists with a certain student leader who was arrested in 1974 leading a protest against rural poverty. Anwar Ibrahim was detained under the ISA, became an even more famous leader after his detention and was courted by both UMNO and PAS. 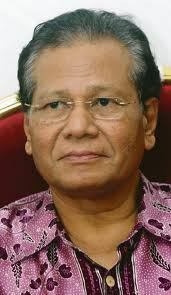 He joined UMNO from ABIM (a popular Muslim-based NGO at the time) in 1982 and rose up the ranks to become the Deputy Prime Minister before being sacked by Tun Dr Mahathir Mohamad in September 1998. Ibrahim of Merdeka Center said that there is every chance that today’s activists could be on the main political stage in 10 years. And it is also clear that both UMNO and Pakatan Rakyat are trying to build bridges with the young firebrands. Safwan, an Islamic studies student at Universiti Malaya and chairman of Solidariti Mahasiswa Malaysia, said that he and other activists have been labelled as pro-opposition but prefer to think of themselves as non-partisan agitators. He says they are fighting injustices in the system and unjust laws and will carry on protesting even if there were a change in the government if that new government did not act on changes to the system to block election fraud. Sometimes, their rage and drive even surprises the Opposition. Safwan was upset with Pakatan Rakyat representatives for not boycotting the swearing-in ceremony. He and Adam were among those arrested outside the Parliament House on Monday. In fact, in the wake of allegations of cheating at GE13, the political activists have taken the most hardline position: no end to demonstrations until there is full electoral reform. 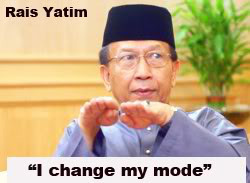 “We will continue to pressure both PR and BN. We will continue to agitate them until the core issues are resolved,” Safwan said. His are not empty words. Recently, he became prisoner No 3130 2770 at Sungai Buloh Prison, the result of refusing to post the bail of RM5,000 after being arrested for sedition after speaking at a post-election forum. Like other prisoners at Sungai Buloh – Anwar’s home for six years – he was given a blanket and had to sleep on the floor. He spent the day reading the Quran and when his wife visited him, she was surprised to note how calm he was. “I visited him and was proud because my husband was not a criminal. He is fighting for the truth, someone willing to sacrifice everything for justice,” she wrote in Harakahdaily.net, the PAS news portal. Indeed, these young activists enjoy strong support from their family members and this net of affection and admiration drives the likes of Safwan and Adam on. They expect to be arrested and have little fear of incarceration or demonisation. Posted in civil society issues, Democracy, Elections, Governance, Human Rights, Justice, Politics. Note: I met Mr Greg Rushford at yesterday’s East-West Center seminar. 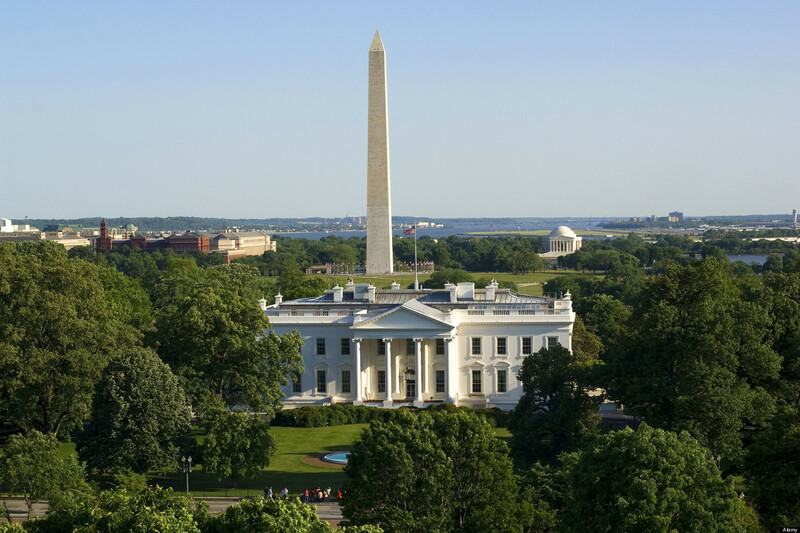 Greg keeps a close eye on power centers in Washington, from the lobbyists along “K” Street to Capitol Hill, the White House and federal agencies with jurisdiction over international trade. He also pays close attention to the World Trade Organization — he’s an enthusiastic supporter of the WTO’s role in the multilateral trading system. He travels frequently, and has filed reports from Geneva, London, Brussels, Paris, and other major European cities. Greg also has a particular interest in Asia, which he has visited regularly for more than four decades. Poorer countries no longer have rich ones to blame for inequalities in trade. Now they’re the ones pulling the strings. One living legacy is a crazy quilt of trade preferences and protection buttressed by a mix of geopolitics, nostalgia, and rich-country interest group protectionism — distortions that undermine growth in export-oriented agriculture and make it tough for women in some of the poorest countries in the world to sew their way out of poverty. Indeed, most developing country leaders view rich-country protectionism as the cause of the deadlock in the World Trade Organization’s so-called Doha Round of negotiations aimed at sweeping trade liberalization. The advanced economies do indeed deserve a disproportionate share of the blame. But as economist Simon Evenett of Switzerland’s University of St. Gallen has observed, “the beggar thy neighbor game is not confined to North-South trade.” The African Development Bank recently reported that only about one-tenth of the continent’s total trade is neighbor-to-neighbor. The numbers for Latin America and Asia are higher (22 percent and 50 percent respectively). Poor countries complaining about commerce-impeding barriers would be well advised to check the mirror to see where their troubles lay. Most levies imposed by America and Europe have fallen to just 2 to 3 percent, while a handful of newly rich countries led by Hong Kong and Singapore have dispensed with tariffs on virtually everything. Now consider West Africa’s Benin, one of the poorest countries in the world (GDP per person in terms of purchasing power: $1,700). Benin’s meager trade and living standards are held back by agricultural and industrial tariffs averaging 14 and 12 percent respectively. And it’s pretty much the same throughout the poorer corners of the world. In Cameroon (GDP per capita: $2,300), farmers hide behind agriculture tariffs averaging 22 percent, while manufactured goods are hit with 12 percent import levies. The parallel figures for Burundi (GDP per capita: $600) are 20 percent and 11 percent; for Gambia (GDP per capita: $1,900) 17 percent and 16 percent. India’s economic reforms, which included sharp reductions in industrial tariffs (to 10 percent) are widely credited for the quadrupling of average living standards over the last two decades. But India still protects food imports with 31 percent average tariffs, with peaks up to 56 percent (for coffee and tea). In the Doha negotiations, the rich countries have agreed to allow Benin, Burundi, and the rest of the world’s poorest countries to maintain their tariffs. (Perhaps not surprisingly: They collectively represent a very modest market for western exports.) But more muscular emerging market economies — notably India and South Africa — have threatened to make further tariff reform a deal-breaker. In fact, they are demanding the right to raise tariffs sharply under some circumstances. Arguably, the greater barriers to intra-continental trade (especially in Africa) are bureaucratic and logistical. To carry goods from Kigali, Rwanda to Mombasa, Kenya, trucks “have to negotiate 47 roadblocks and weigh stations,” the African Development Bank reported in 2012. At the time, the Bank also noted, there was usually a 36-hour wait at the South African border for trucks to cross the Limpopo River into Zimbabwe. It was much the same story getting through customs from Burkina Faso into Ghana, from Mali into Senegal — actually, from just about anywhere to anywhere in Africa. Take your pick as to which misery is worst: The mud-plagued, potholed roads that drive up the costs of doing business, or the border checks with corrupt customs officials seeking alms. Paying bribes is so common that the African Development Bank report published a table listing the borders where officials are the most corrupt (Ivory Coast-Mali seems to be the prizewinner). African reformers freely acknowledge such problems. Nigeria’s trade minister, Olusegun Aganga, has publicly lamented that “billions of dollars” and “millions of jobs” have been lost due to the “the fragmentation of Africa in terms of trade.” And some progress is being made. The World Bank noted that Ghana and Nigeria are discussing cuts in bilateral tariffs and otherwise making their cross-border trade flows more efficient. The New Times, a Rwanda newspaper, recently celebrated the fact that roadblocks between Kenya, Rwanda, Uganda, and Burundi had been pared from 30 to 15 (which are still way too many). Meanwhile, there is still a Sisyphusian quality to poor-on-poor trade disputes, with modest advances matched by threats of retrenchment. South Africa, which by virtue of its relative affluence and stability is the economic leader of southern Africa, has been railing against cheap chickens from Brazil, metal screws from China, and even artificial turf from rival soccer competitors India, Thailand, and Malaysia. When we do these things, we are only following “common sense,” and not indulging in “protectionism,” Pretoria officials insist. “Common sense” is apparently infecting middle-income countries not above the impulse to close the door behind them. Argentina is now considering stiff tariffs on plywood from Brazil and China. Turkey is in the process of imposing tax hikes on terephthalic acid (useful stuff that goes into plastic bottles and clothing) from more than a dozen trading partners including Indonesia and Brazil. Malaysia has imposed “antidumping duties” on newsprint from the Philippines and Indonesia. For their part, the Indonesians are in the process of “safeguarding” their domestic sorbitol industry (a versatile sweetener) against competitors in Malaysia, India — and curiously, communist North Korea, which isn’t known for offering sweet deals to anyone. The ongoing phenomenon of quasi-colonial economic ties has also been a major source of tension — and a major impediment to a Doha-enabling compromise. Countries that were previously extorted for their resources are now receiving preferential treatment from their former colonizers, much to the chagrin of others. Ecuador, a major banana producer, has complained about preferential trade deals France has given its former colonial banana suppliers, notably Cameroon. Mauritius has railed against European farm subsidies, even as it maneuvered to retain its preference to export sugar to the European Union. Camps are also emerging as blocs of developing countries pit themselves against others. When the Doha talks last went into hibernation (2008), Uruguay and Paraguay were complaining that Indian-led demands, on behalf of 44 poor countries, for continued agricultural protectionism would cripple their exports to Latin neighbors. On the opposite end, Cambodia and Bangladesh’s efforts through Doha to curb the United States’ 15 and 17 percent respective tariff on their garment trade are facing stiff opposition from African countries that already enjoy duty-free access to U.S. apparel markets. Posted in Economics, Finance, International Affairs, Trade and Investment. 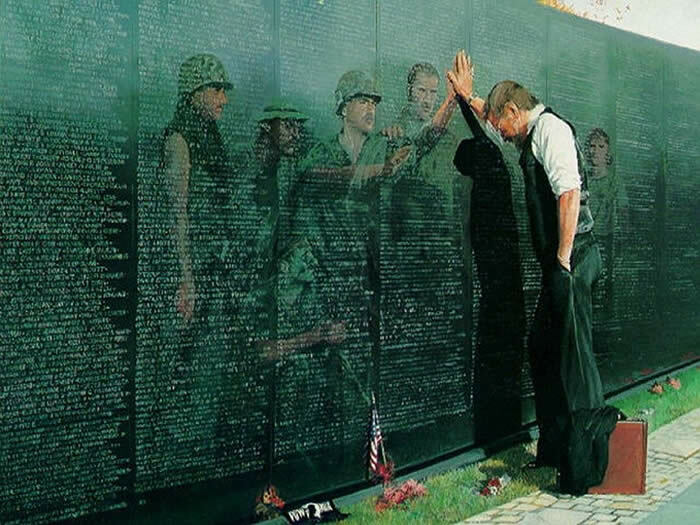 Note: The East-West Center promotes better relations and understanding among the people and nations of the United States, Asia, and the Pacific through cooperative study, research, and dialogue. 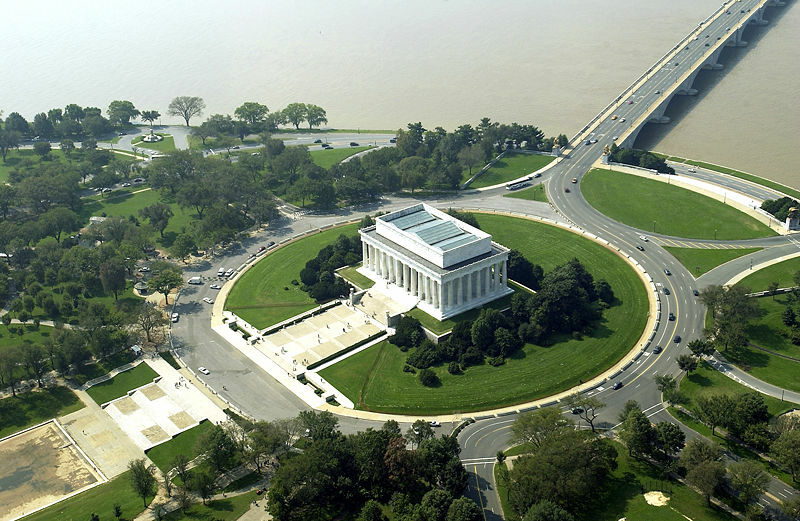 Established by the U.S. Congress in 1960, the Center serves as a resource for information and analysis on critical issues of common concern, bringing people together to exchange views, build expertise, and develop policy options. 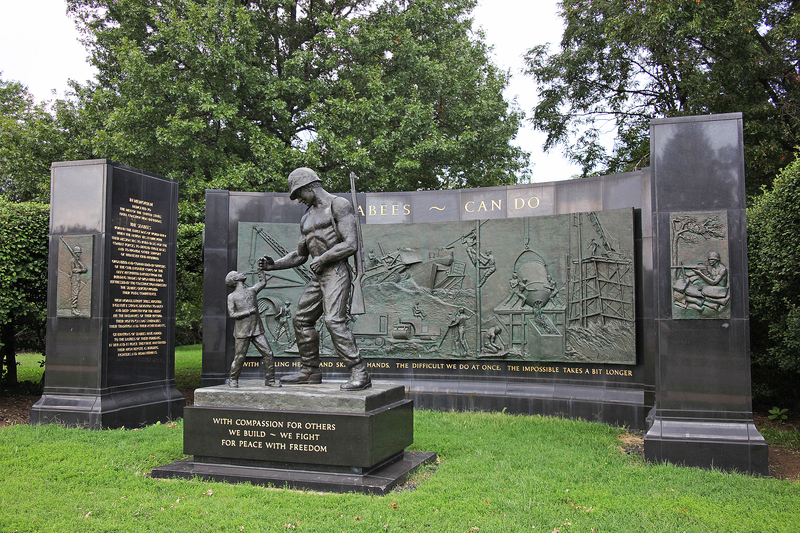 The Center is an independent, public, nonprofit organization with funding from the U.S. government, and additional support provided by private agencies, individuals, foundations, corporations, and governments in the region. Malaysia held its most competitive national polls in May, with the 56-year old incumbent coalition managing to hold onto power. The Barisan Nasional coalition led by Prime Minister Najib Tun Razak won 133 or 60 percent of the seats, although it captured only 47 percent of the popular vote. The results, conduct of the polls and aftermath have raised questions about Najib’s maiden mandate as ironically he has emerged weaker out of the contest than before he went into it. The reasons for Najib’s challenged mandate stem from the election itself and the broader changes taking place in Malaysian politics. Foremost, there are concerns about Najib’s electoral legitimacy which are two-fold. There is a discrepancy between the popular vote and the results. A gap between results and popular support is common in electoral systems of proportional representation or mixed systems, but in Malaysia’s first-past-the-post system the advantage should have been given to the winner of the most votes. This discrepancy has shed light on some of the systemic factors in Malaysia that create an uneven playing field in elections, including malapportionment, gerrymandering, unexplained voter transfers, mainstream media bias and, importantly, the excessive use of state resources for campaigning and vote-buying. This election was one of the most expensive in history, largely through the link between political power and incumbency. The second concern involves the conduct of the polls itself. On the day of the election there were credible reports of blackouts during the counting process, ballot box mishandling, unexplained missing ballots and foreigners casting ballots. The Election Commission reports directly to the prime minister, failing the basic international standard of impartiality. The debate is not over whether irregularities occurred—as both sides acknowledge problems given the record number of electoral petitions filed—but whether these factors affected the outcome. 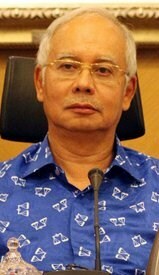 Najib emerged out of the polls with many questioning whether he is Malaysia’s legitimate leader. The opposition-led “Black 505” rallies, with thousands attending regularly from all walks of life, showcase the persistence of an electoral legitimacy deficit. Najib’s challenged mandate has also come in the form of a rupture in the multi-ethnic power-sharing coalition that has governed the country since independence. The Barisan Nasional as a multi-ethnic coalition is effectively dead, as it no longer viably represents non-Malays, especially Chinese Malaysians who comprise over a quarter of the population. Malaysia has long been touted as a successful example of multi-ethnic governance, with elite cooperation assuring representation of the different interests along ethnic lines. Here too there are fundamental shifts. The Chinese-based component parties within the coalition were decimated, so much so that they no longer feel it is appropriate to be part of the cabinet. This has meant that Najib has had to seek out Chinese representation largely from East Malaysia and the post-election cabinet has a record low in representation. At the same time as effectively excluding Chinese Malaysians, Najib blamed the results on a “Chinese tsunami,” further alienating the community and showcasing the limits of multi-ethnic representation in his government. This general election—GE13—also illustrated the shifts in political identities of Malaysians, as race was less of a factor in voting, especially among non-Malays. Voting occurred across ethnic lines, as more Malaysians thought of themselves as Malaysians rather than their ethnic community. GE13 on one level revealed contestation between the old racial political formula with a new non-racialist citizenship. Najib now has to contend with these different perceptions of race in national politics, one entrenched in his own party’s Malay chauvinism and another with a more inclusive model of representation. By reinforcing race-based politics in his post-election rhetoric and cabinet appointments, he faces a challenge of engaging those who are embracing a different non-racialized model of politics. The results of the polls also point to another challenge: the majority of Najib’s support comes from the lower classes or those dependent on government distribution whereas the majority of the middle class voted for the opposition, across races. Overall, Malaysians who were more educated, informed and economically independent opted for change, while those more dependent on the system voted for consistency. Najib here faces two intertwined issues. First, he has to win over the middle class to carry out policies and it is this cohort, concentrated in the urban areas, which are essential for governance. The lack of middle class support for Najib ensures he has an uphill battle in front of him. The support of the lower classes will also come with costs, specifically expectations of a continuation of more financial handouts. Already Malaysia broke records with populist initiatives from free dinners to direct cash transfers. 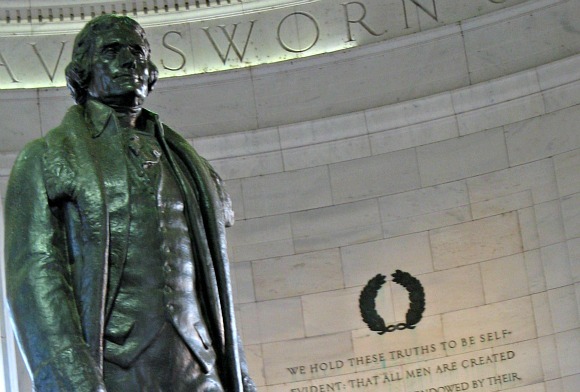 This dependence on government distribution will constrain any substantive economic reform. A major transformation during Najib’s tenure has been to increase short-term handouts rather than develop a more coherent long-term development strategy to address the rising economic inequalities and create jobs. Malaysia’s weakening political institutions is yet another challenge in the wake of GE13. 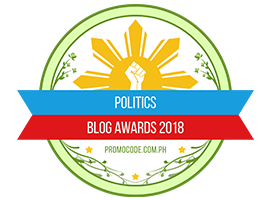 The polls brought to the fore the collusion among government agencies and the incumbent coalition, as state resources were used in the campaign in an unprecedented manner and standards of professionalism were dismissed in favor of incumbent interests. From the Election Commission to the National Registration Department questions are being asked about where the line between the government and partisanship should be drawn. The credibility of the Police in particular has come under scrutiny after the political crackdowns and shocking number of deaths in custody. By politicizing government agencies, Najib has weakened the capacity for inclusive governance, particularly given that he was not supported by the majority of Malaysians. Malaysian citizens are increasingly beginning to question their leaders and their performance. When the government engaged in a series of post-election political crackdowns against student activists, bloggers and opposition members, the response was to increase protests. Both Najib and the opposition face a more politically mobilized electorate with higher expectations, and more critical outlooks fueled by political skepticism. Citizens are willing to address issues without waiting for political elites to act; post-GE13 more Malaysians are moving out of the electoral process to effect political change. Politics has become an everyday phenomenon, in which leaders are expected to provide sound national leadership to move the country forward. Najib now faces multiple challenges, from electoral legitimacy and inclusive national representation across ethnic communities and classes, to building confidence in political institutions and engaging a more demanding citizen. He now has to secure his position as the leader of his own party. His position is not one of strength after this election. 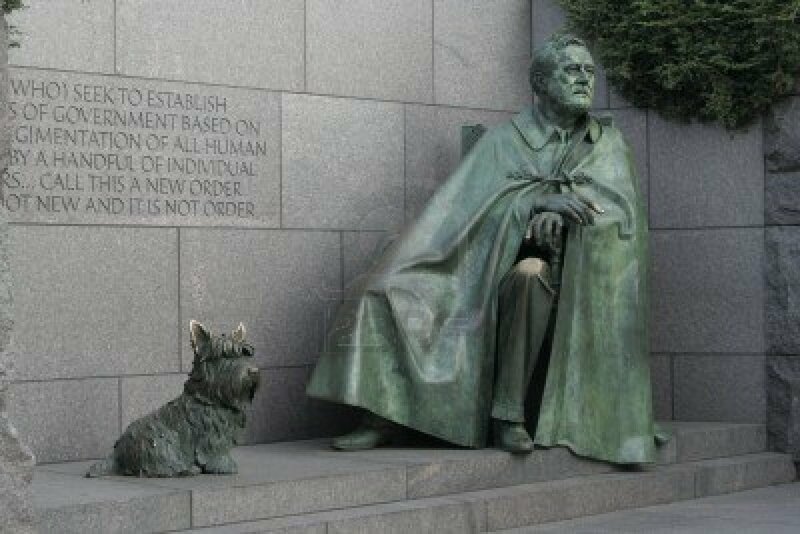 His leadership skills will be tested as never before, with the chances of substantive reform even more remote than ever. Posted in ASEAN, Democracy, Elections, Governance, Politics.